Health officials in Somalia's self-declared independent region of Somaliland have expressed concern over a rise in mental illness, which they attribute to post-war trauma, joblessness, drug abuse and khat use. "Mental health problems have increased in Somaliland because of several reasons; that is why in October 2008, the Ministry of Health and Labour established a new department to deal with mental disorder coordination," Mustafe Hussein Hirsi, the mental health coordinator in the ministry, said. He said public and private hospitals across the region had recorded an increase in mental disorders, "for example, here in the Hargeisa Group Hospital, we had 140 patients in 2008 and now we have 180 patients". Hirsi said Somaliland public mental hospitals lacked adequate facilities to handle the caseload. "Berbera Hospital was built in the late 1920s as a jail; the patients were held in small rooms without air-conditioning or a fan yet it is in a coastal climate area," Hirsi said. Mental hospitals also receive limited support from donors, he said. "[The] World Health Organization [WHO] gives us the drugs but we do not get any other support except personal donations by members of the public; for example, today, Abdillahi Mohamed Dahir, chairman of the Union of Somaliland Journalists, gave us some money raised by Somaliland’s diaspora in Bristol in the UK," Hirsi said. He said aid agencies had displayed little interest in supporting efforts aimed at alleviating mental disorders. "Aid organizations, both international and local, often work on HIV/AIDS and female genital mutilation but it is rare to see organizations who are interested in helping this community of the mentally challenged, who are suffering everywhere in the country," Hirsi said. The International Day of Persons with Disabilities is marked every 3 December. This year's theme was "making the [UN's] Millennium Development Goals disability-inclusive". WHO said it was holding a three-month training programme in Hargeisa for health workers dealing with mental health issues. "Health workers from Somaliland, Puntland and south-central Somalia are attending that training," said Mohamed Mahamud Ali, WHO medical officer. Officials of the mental health department of Hargeisa Group Hospital said the workshops undertook practicals in the hospital, under the guidance of a visiting WHO psychiatrist. 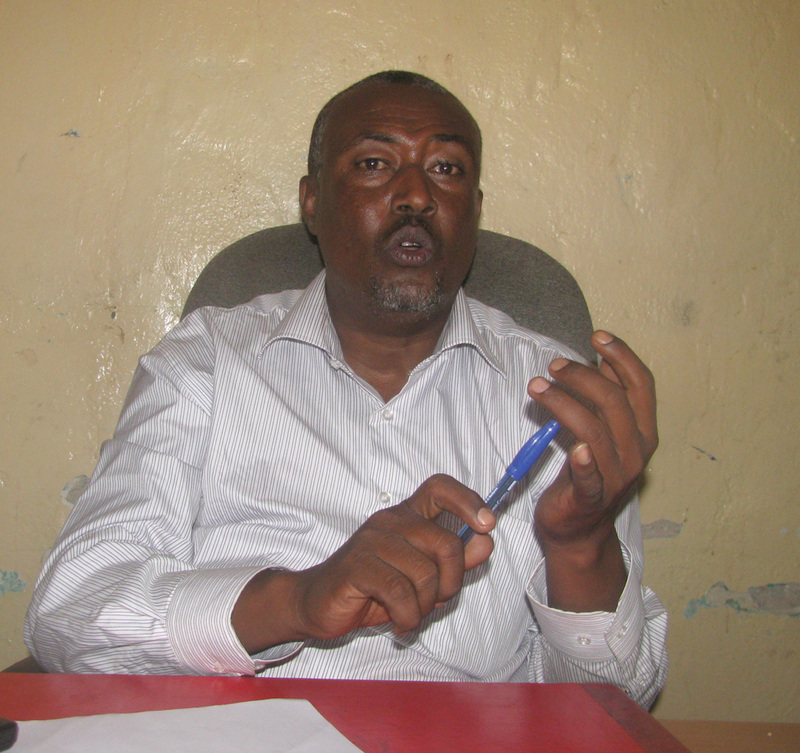 Omar Elmi Dihod, one of the few psychiatrists in Somaliland, said the increase in mental disorders was higher in males than females because of post-war trauma, khat consumption and stress. "I worked for Hargeisa Group Hospital's mental sickness department between 1991 and 1998, where I met a number of teenagers who had different kinds of mental sicknesses," Dihod said. "But when I researched their backgrounds, I found out that when they were in refugee camps in eastern Ethiopia they used to chew khat a lot to prevent insect bites, and for this reason, they got mental sickness." Some of the mental patients have been in hospital for so many years that they have lost touch with their relatives, citing the case of Fadumo. "This woman, named only Fadumo, no one knows who brought her to hospital or where she is from but we know that she was admitted in 1970s, she has yet to recover," Hirsi said.